Being Flu Free The Whole Year Round! So I thought that it would do me much good just by being sugar free. I discovered that I have to be flu free also the whole year round. 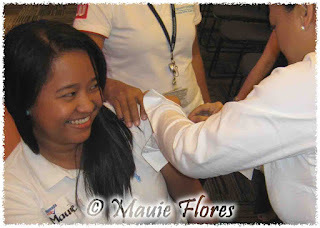 That I learned from the flu vaccine seminar initiated by Sanofi Pasteur in cooperation with Nuffnang Philippines. 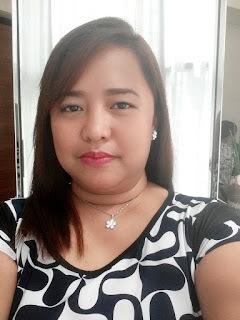 I came with my family and, together with other parent bloggers, we learned from Dr. Ruby Mendoza-Dizon how important the flu vaccine is for everyone, especially to a diabetic like me. 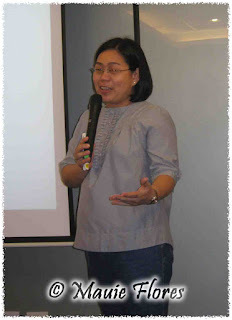 I am, thus, sharing with you the key points from the seminar and some photos, too. Influenza is a contagious respiratory viral illness caused by the influenza virus. Symptoms include headache, fever of 38 to 40 degrees Celsius, muscle and joint pains, chest pains, lack of appetite, fatigue and weakness, runny nose and sore throat, dry cough, restless sleep, chills and shivering, and vomiting or diarrhea. The illness strikes between the months of June and August. It can affect the patient for three to five days but the fatigue may last until two weeks. Because it is a viral illness, it cannot be treated with antibiotics although patients may be given antibiotics to treat the complications that arise from it. Contrary to what we commonly think, the flu is not as simple as it is. It is deadly because of the complications that may develop from the illness. Possible complications include bacterial pneumonia, ear infections, dehydration, and worsening of chronic medical conditions such as congestive heart failure, asthma, or (uh-oh)diabetes. Now this is what really made me scared to death! Is Influenza different from common colds? Both Influenza and common colds are viral illnesses but the symptoms of influenza are usually more severe and life threatening. For example, fever is rare in adults who suffer from common colds. Preventive measures include eating a well-balanced diet, engaging in exercise, getting adequate rest, doing good hygienic practices, isolation, and vaccination. Vaccination should be done every year. The Southern Hemisphere vaccine (the Philippines is a part of the said region) is made available starting February of each year. Two weeks after you get the shot, you can be protected from Influenza. Because of this, it is recommended that you should get the shot once the new vaccine is available to and not to have it during the months of June to November which is the expected time when there is an increased Influenza activity. It is also recommended that everyone should get the vaccine. Special mention, though, is given to children 6 months to five years of age, asthmatics, chronic bronchitis patients, diabetics, kidney and liver disease patients, adults 50 years old and above, the immunocompromised (e.g. HIV patients), and health care workers. I was grateful that we got free shots of Vaxigrip yesterday. This is the brand of Influenza vaccine that Sanofi Pasteur produces. Just this school year, Ralph already had a total of 6 days of absence because of sickness. 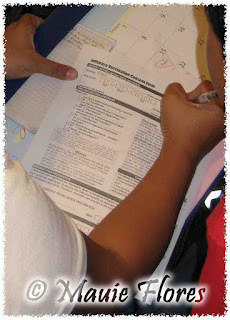 I was able to convince my son to get vaccinated so he can be protected. He especially regret the one time he missed their Music Festival audition because he was feverish. But when the time came for us to have our shots, he went into panic mode and even rushed to the restroom. I had to hold him tight (again!) when his shot was being administered. On the other hand, I am so used to injections so it did not bother me at all. The part still feels a little painful though as of today. I was able to finally meet my blogging Plurk friends Noemi, Cookie, and Girlie. It was also a chance for me to meet other parent bloggers like Earth, and Jeff and Jennie Aspacio and the Nuffnang Philippines staff. 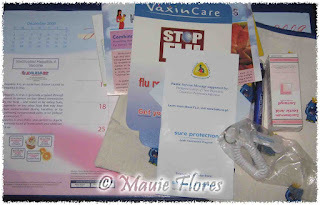 I also got to take home a desk calendar and kit of influenza information flyers and other freebies. I do hope you consider getting your flu shots this early to avoid being hit by the flu later on. You can visit the Bakunado sa Flu site for more information and to help spread the word about the importance of getting a flu vaccine.